Tumors of the kidney comprise approximately 7% of all childhood malignancies. The vast majority are Wilms tumors, which have an overall incidence of approximately 500 cases per year. In recent years, the systematic study of pediatric renal tumors has allowed for more accurate characterization of these different entities, including their histologic appearance and molecular features that aid in risk stratification. 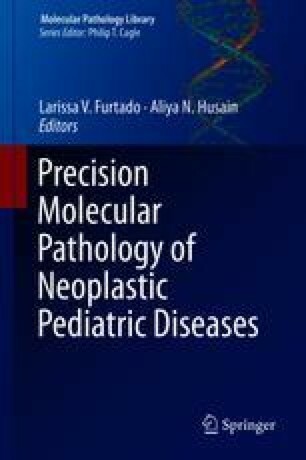 In this chapter, we discuss the pathologic and molecular features of the most common pediatric renal tumors, including genetic alterations with diagnostic and prognostic implications.